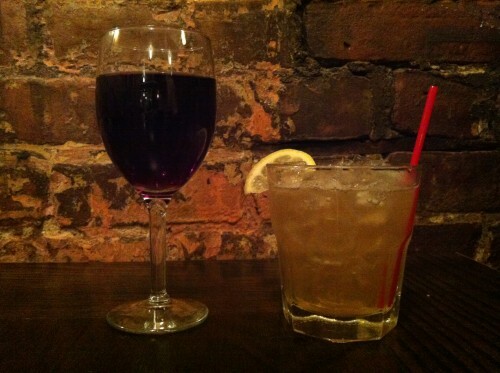 Upon arrival in the East Village we had a great dinner at Cafe Orlin, accompanied by a great glass of Oregon Pinot and what they dubbed the “Maple Manhattan,” a very well-balanced combination of bourbon, lemon maple syrup and salt (the “secret ingredient”). Being from Vermont I obviously had to order this. Our next stop was a great little Latin place, Yuca Bar, where we met with our long-time friend, Arianna. 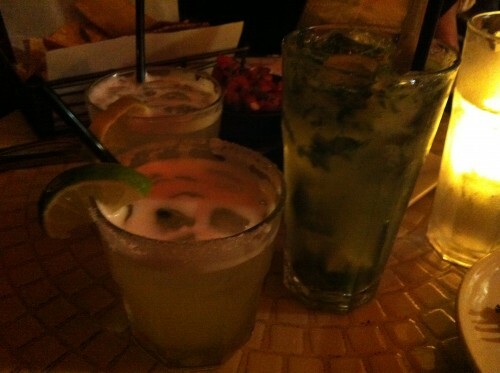 There we enjoyed margaritas and a delightful mojito. Maybe it was the St. Teresa rum, but something was different about this mojito. And really good. From there we cabbed over to The Dove Parlour. Outfit with that old-timey wallpaper we know so well from the Tip, the place boasted an ambitious menu full of infusions and house-made syrups. We worked our way through the list starting with The Silk Road Margarita, with cinnamon infused tequila and the Fig & Pepper Elixir. After the first round another old friend, Simone, arrived and we moved on to The Holly & Ivy, a bourbon drink with cranberries and basil; the Ginger Snap, with house-made ginger syrup; and I, needing something with a little more bite, ordered a glass of Bookers. All of the aforementioned were delicious in their own right, but the real stand-out was The Fig & Pepper Elixer. 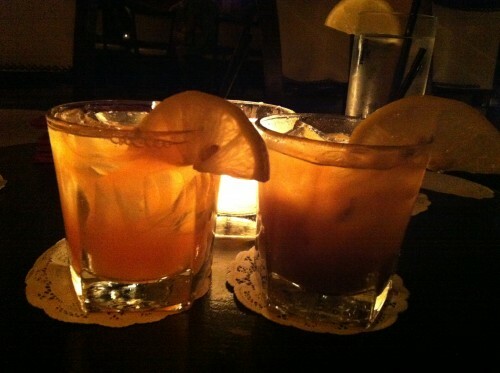 The head bartender, Davie, explained that the owners had devised the drink for a benefit they’d held at the bar. I was a little embarrassed to learn that the liquor used was Figenza, a flavored vodka, but the house-made black pepper syrup was fantastic and the combination is pretty amazing. Hence, for the third round, we had two more Fig & Peppers and I tried The French Lavender, using gin infused with, you guessed it, lavender. 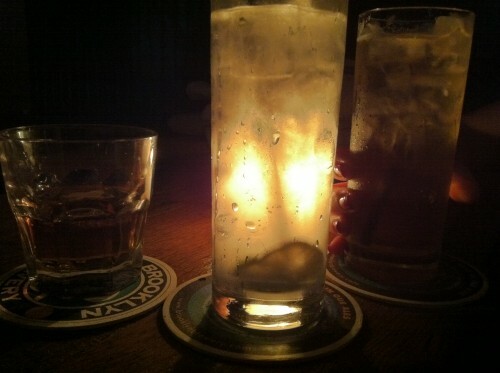 The Brooklyneer: Woodford Reserve, Hendricks & soda and bourbon soda. At the recommendation of another old friend, Aleck, our final stop for the night was at The Brooklyneer. It is a nice little hipster place with a food menu we didn’t look at but I hear is great. 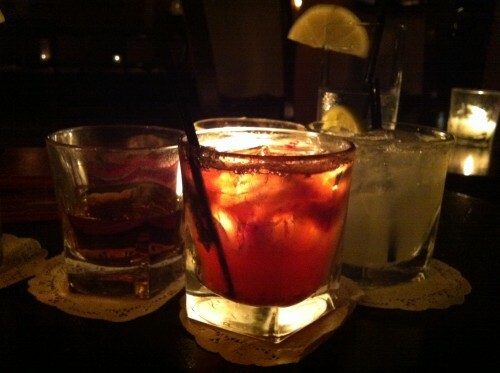 We started off with a little Woodford Reserve, a Hendricks & soda and bourbon soda. 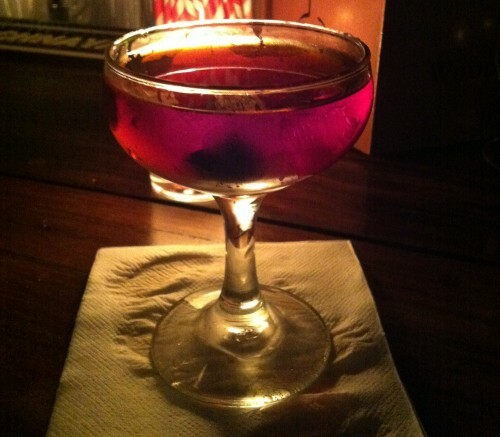 From there I was intrigued by a rye/amaro drink on the menu, but when I tried to order it the charming bartender, Erica, asked to make me what she called the Black Manhattan. I didn’t object and glad I am. She whipped up a perfectly balanced combination of Buffalo Trace rye, Averna, fancy cherries and maybe something else—I was pretty in the bag at that point and didn’t notice. A great way to end off the night, or so I thought. 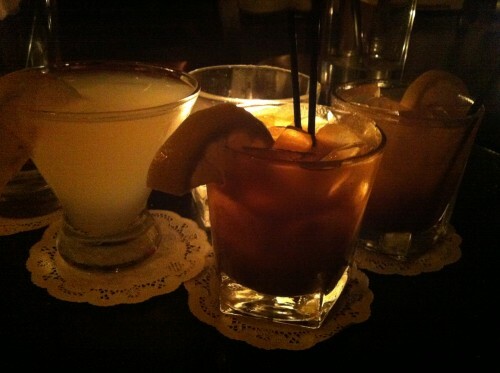 After a pretty unsuccessful photo booth attempt we went back to the bar for tequila shots and maybe more whiskey. I don’t know. I was pretty drunk and forgot to take photos so we’ll just assume that based on the charge on my card I had something else. We stumbled into a cab at 3:00 and made an ill-advised pizza order back at the apartment we’re renting. And that was our “taking it easy” night. For the record, we did still run this morning. More to come after tonight’s adventures.